A non profit making organisation which complements the State Education system, the "Centre Méditerranéen d'Etudes Françaises" was founded in 1952 by Jean Moreau. 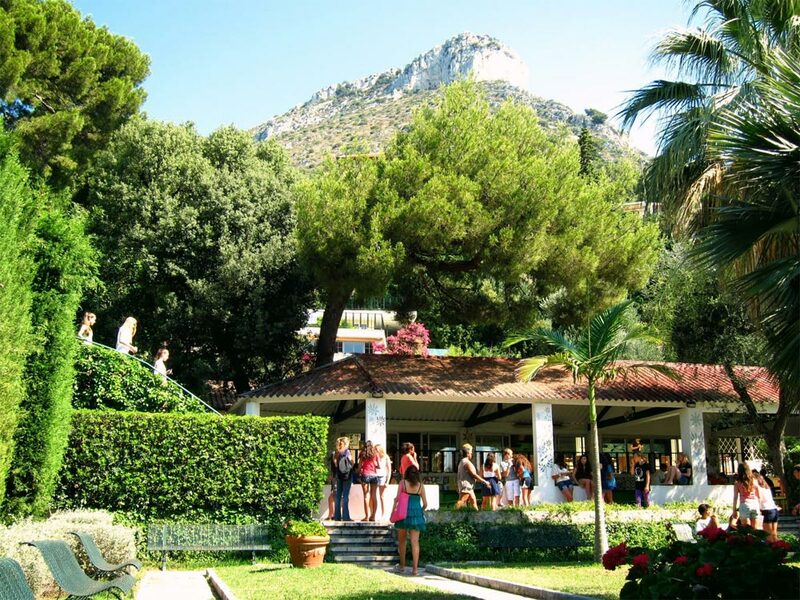 Its idyllic setting, a beautiful wooded and floral park nestling on the hillside overlooking the Mediterranean, along with its antic style amphitheatre imagined and decorated by Jean Cocteau between 1957 and 1963 and now used for cultural events, create a unique atmosphere. Indeed the timeless works of the great poet still have a major influence on the educational methods of the Centre. Since the creation of the CMEF, almost 260 000 students from all over the world have attended its courses in French Language and Civilisation. Its cultural commitment and pedagogical experience attracts approximately 4 000 youths and 200 teachers each year. The Centre Méditerranéen was initially created by Jean Moreau in 1952 to promote peace by educating the Youth after the Second World War, it strove to bring together in particular French and German students. Its main aim was to create a new form of communication and comprehension between the younger generations by combining the study of the French language, the expression of art and creativity. Very soon, the meetings became international. The stunning beauty of the Mediterranean made the Cote d'Azur a natural choice for the site of this humanistic project, which was backed by the OFAJ as early as 1963. The idyllic surroundings, the warm welcome and the unique art of living more than compensate the unpretentious accommodation. 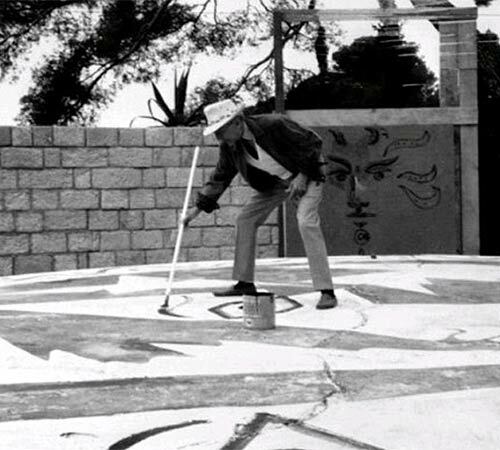 Jean Cocteau first discovered the Centre in 1956, at a time when there were daily musical and theatrical performances and the idea of an open-air amphitheatre was taking form, as always he was interested in the enthusiasm of youth. During four years, up until a few months before his death he designed and then decorated the amphitheatre which became an important cultural site thanks to his love of the arts and the stage and his close acquaintance with many of the great artists of his time. 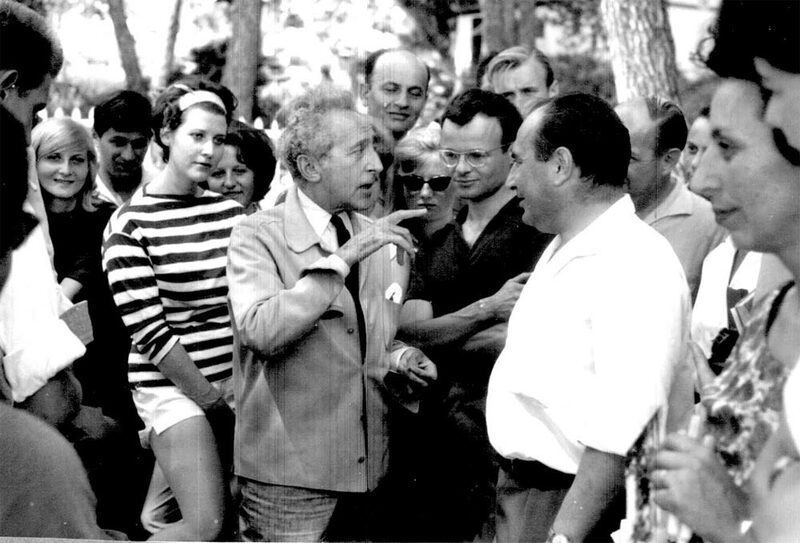 Thus in 1963 the French-German Festival for Youth was launched and has been attended by many of the greatest artists : M Millstein, A.Rubinstein, H.Scerina, R.Kubelick, Munchinger, I.Stern, P.Kuentz, N.Zabaletta, H.Dreyfus, A.Navarra, Guilets, Byron Janis, D.Oistrack, C.Jamet, C.Lardé, P.Lagoya, S.François, J.P.Rampal, J.P Valez, M.Muller-Kant, G.Tacchino, A.Ciccolini, Magnardi, A.Scherbaum... Among others, the Festival has been under the patronage of André Malraux. Since then the amphitheatre and the performances which take place during the artistic summer exchanges play an important role in the life of the centre. From the beginning language courses and the study of French civilisation were added to these cultural and artistic activities, offering participants an insight into France, its culture and its way of life. Our progressive and avant-garde educational methods have been adapted to modern language learning and have thus been officially recognised by our institutional partners. 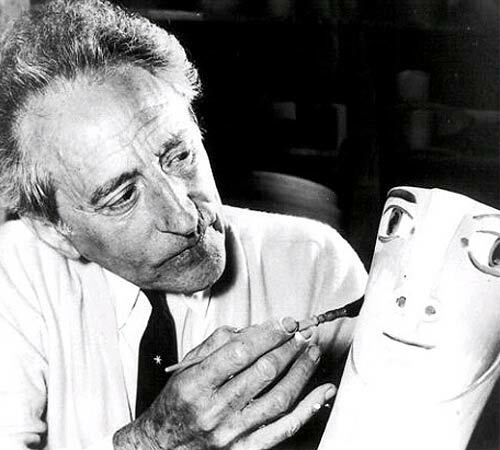 Jean Cocteau is multiple: a poet before everything else, but also a novelist, play-writer, critic, screen-writer, dialogist, film director, actor, draughtsman, painter, he creates costumes and sets for different shows, imagines ballets, and is mentioned in a music dictionary. He is proof of a prodigious gift of transformation and of the ability to enter into a phase with an era, an aesthetic quality or another creator. The ambition of complete art, ranked the first artistic ambition by the wangerian opera at the end of the 19 th Century and then taken over by the Russian Ballets at the beginning of the 20 th century is embodied in Cocteau. "A work of art has to satisfy all Muses. That's what I call: Evident proof". He was born on the 5th of July 1889 and passed away on the 11th of October 1963. 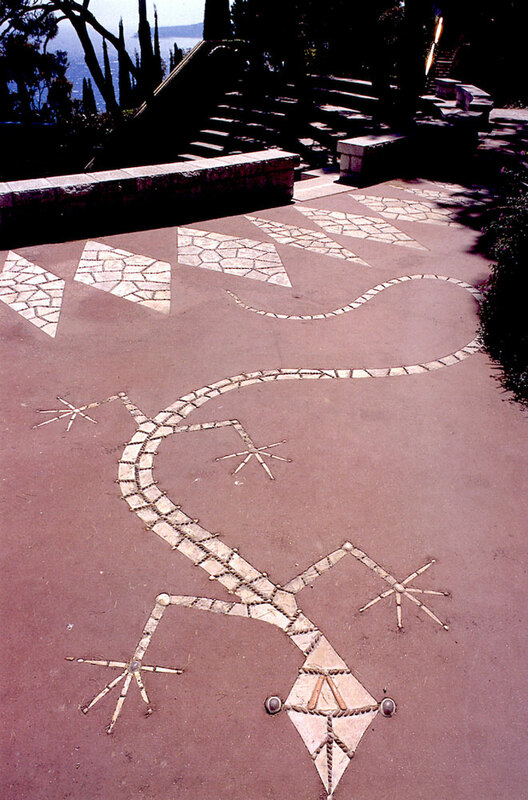 Most of his last graphic poetry works reflect his passion for mythology, as can be seen on the Côte d'Azur: frescos in Villefranche (St. Pierre chapel), in St. Jean Cap Ferrat (Santo Sospir villa), in Cap d'Ail (amphitheatre at the Centre Méditerranéen), and in Menton (marriage hall). The same for his major theatre works like Antigone, La Machine infernale and Orpheus, as well as his films: The Beauty and the Beast, Orpheus. The power of antic and medieval myths, their eloquence, their ability to talk to us about important issues of human existence in a simple and capturing manner fascinate Cocteau. He transformed this obsession into mythographic creativity: he skilfully put together antic wisdom with our modern European sensibility. This is how he expressed limits of Man's cognitive faculties, the mysterious links between the visible world and the invisible one, with the help of Sphinx's enigmatic character for example, or that of the mirror through which Orpheus comes and goes.
" In Cap d'Ail, for the youth I wanted to write on sky and water "
1957: Jean Moreau, Founder and President of the Centre Méditerranéen, invited Jean Cocteau, who was already staying in Cap-Ferrat, to assist in a performance in one of Garcia Lorca's plays given by international students in a small green arbour of the Centre. Jean Cocteau became a friend of Jean Moreau as well as of the Centre Méditerranéen. He returned to do his artistic work and to teach until he passed away in 1963. 1958: first drafts of the amphitheatre, modified many times thereafter. 1959: realisation of the first amphitheatre's scene. 1958 to 1961: Jean Cocteau attempted to improve the acoustics of the theatre by adopting the geometry of the walls, the height of the scene and the resin boxes in the back of the stage. During this period and until 1963 he did a lot of drawing for ceramics in the Centre. 1961: He reminded people of their destiny by designing the inscription " KOMODIA-TRAGODIA ". He decorated the respective gates by drawing the " Chèvre-pied " and the " Minerve ". 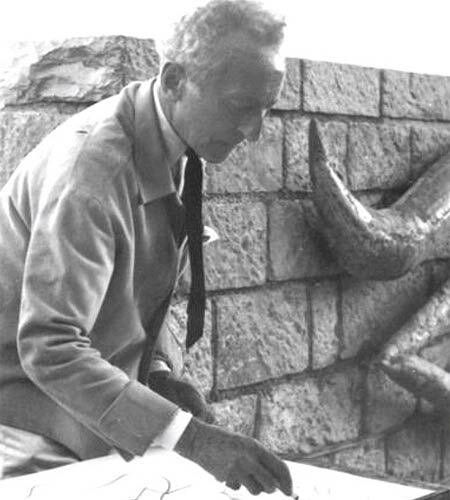 1962: He sculptured the " considérables serpents" and places " l'Orphée ", a poetic and mythological figure representing a tremendous spirituality, on the horizon between sea and sky. 1963: On the 5th and 6th of October in Milly-la-forêt, Jean Moreau made a last visit to his poetic** friend who gave him his last two drawings as a heritage. 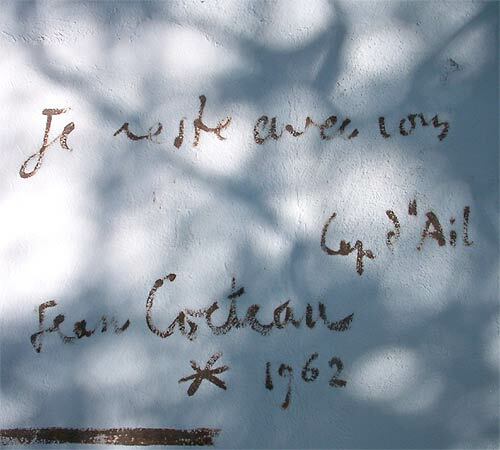 Jean Cocteau died on the 11th of October in Milly-la-forêt.